You did a wonderful, artful creation! 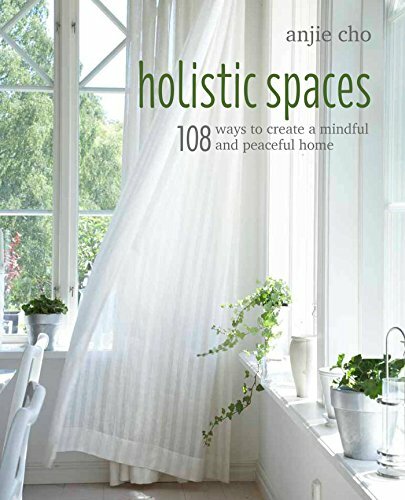 I received my copy of “Holistic Spaces: 108 Ways to Create a Mindful and Peaceful Home” yesterday. I don’t think we have met, but I am a member of Bon Shen Ling. Thanks so much for your question, and thank you for purchasing the book. It’s nice to meet you! That’s great you’re a member of Bon Shen Ling; Chongtul Rinpoche is very kind man. For the readers, Bön Shen Ling, a non-profit 501(c)3 organization in the U.S., is dedicated to supporting the global Bon community through its programs that support refugees and educate western societies about this unique group of people and their way of life. Bon is the indigenous religion of Tibet and is closely tied to BTB feng shui as well as Tibetan Buddhism. Chongtul Rinpoche blessed me at my BTB feng shui ceremony. In addition, 10% of the proceeds from each Holistic Spaces Mandala is donated to support Tibetan refugee children at Bon Shen Ling's Menri Monastery in Dolanji, India. Ok, now onto your question! In BTB feng shui, when we refer to the front door, we mean the formal front door to the space as was intended when the house was built. There are many people (especially in the US) with the situation that you have, where you have a formal front door but then have a secondary door that you use more frequently. Either way, you would lay the official house bagua on your home using the formal front door. You align the bottom of the bagua map so that the front door is in Gen (Knowledge), Kan (Path in Life/Career) or Qian (Benefactors and Travel). In your case, if you don’t use the front door very often, I recommend you open it every day, if possible, to activate the energy. If the official front door stays dormant, it may affect how qi comes into your life and home. Another interesting thing of note, once I had a client where the official front door was converted into a window, and the side door then became their official front door. In this case, we had to open up the closed door. Doors represent the mouth of qi, and the mouth/voices of the inhabitants. When a door is removed or closed up, this may impact the voice of the people and the voice of the house. Thanks so much for the wonderful question. Doors are really key in feng shui, as is the bagua, so this is a good question for everyone! Again thank you for purchasing the book and feel free to reach out with any other questions!